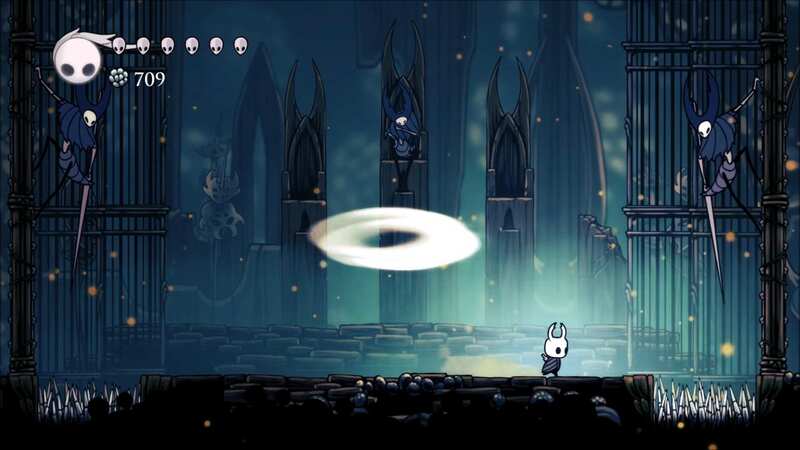 This is a guide that gives some helpful tips and things to look out for when fighting the Mantis Lords in Hollow Knight. During the first phase you will phase the middle Mantis Lord. 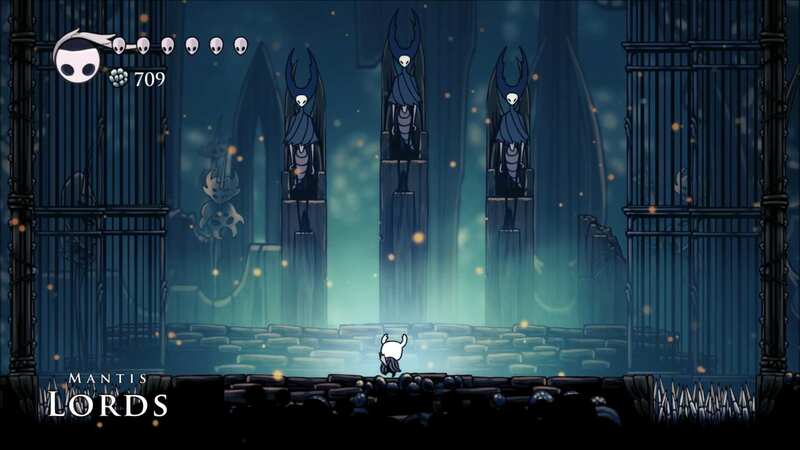 All the Mantis Lords have the same three attacks, not including a few exceptions such as change in location, left or right, combos, Ext. In this guide I will be calling the three attacks: "Dash Attack", "Downwards thrust", and "Wall Attack". 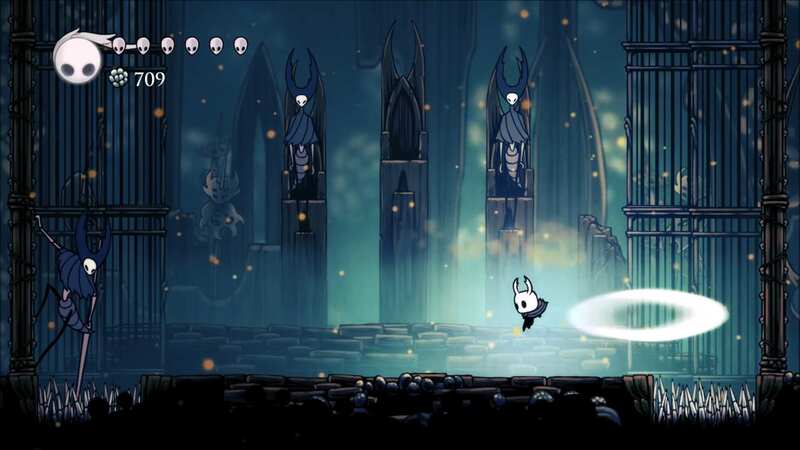 The Mantis Lords dash attack is when the mantis will drop down to the floor and dash horizontally across the fighting platform from either: Left to right, or right to left. To avoid this attack, simply jump over the mantis when it comes close. When the Mantis Lord finishes his dash there will be a brief time period were you can hit him 1-2 times. 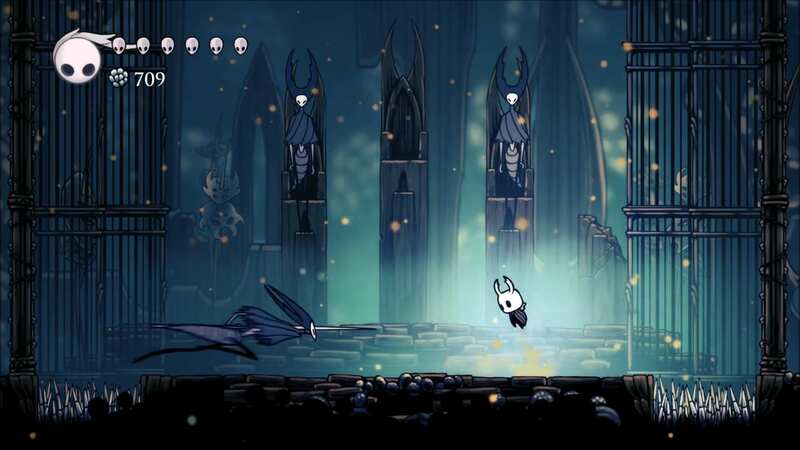 The Downwards Thrust attack is when the Mantis Lord Appears above your last location and thrusts downwards on you if you remain there (The Name is pretty self-explanatory.) The attack can be avoided if you simply move or dash away from it. When the attack is finished you can get 1-2 hits off. 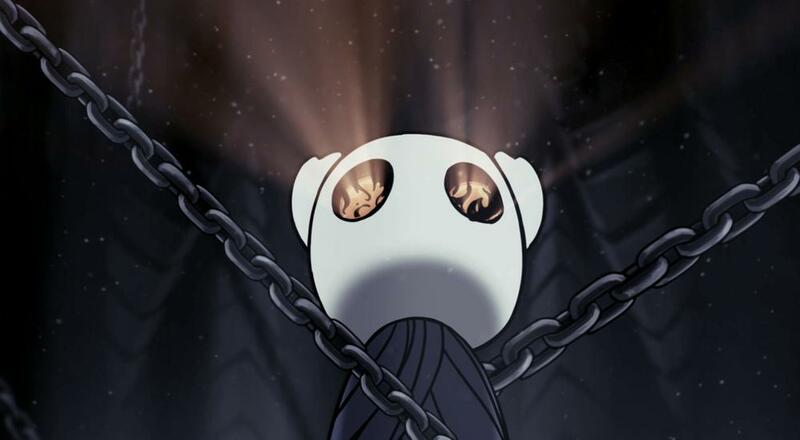 The wall attack is when the mantis appears on either the left or right wall in one of two positions and throws a projectical the goes from his location, to the other wall, and back again. The two positions that the mantis can be in is: High or low. His position matters because this tells you how high or low the projectial will be thrown. If you know how high or low it is thrown then you can act accordingly by either jumping or not jumping. 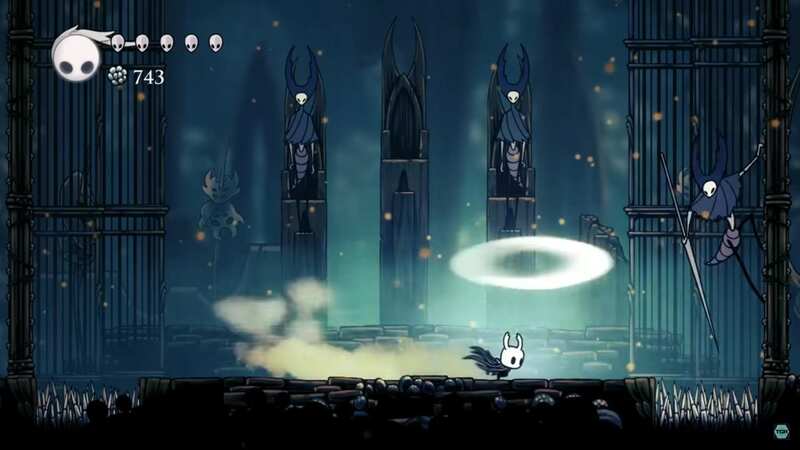 The Mantis lords high postion looks like this and if he is in this position he will throw the projectial high which means you dont jump. The boss will keep going through his same 3 moves until you eventually hit him enough times were he retreats back to his thrown. During this time make sure to heal yourself with the souls that you have gathered. Make sure to only heal yourself during this time because you can not do it during the fight in either of the phases. 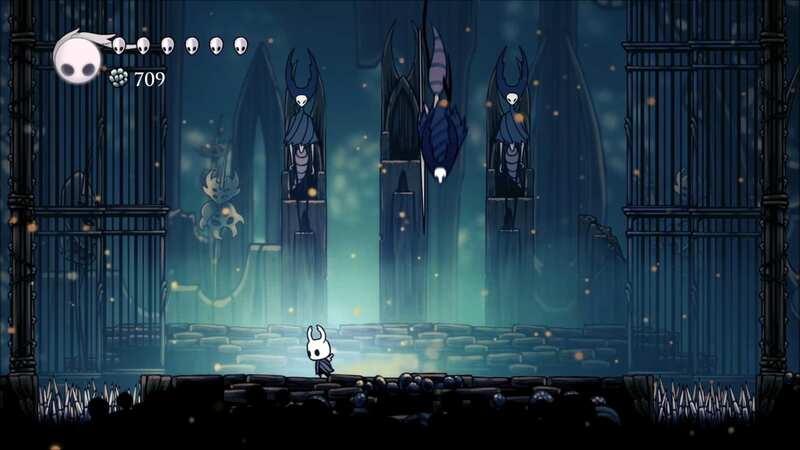 During the second phase you will be fighting the two remaining Mantis Lords at the same time. The fight will be chaotic so it is important to analyze their moves and act accordingly. 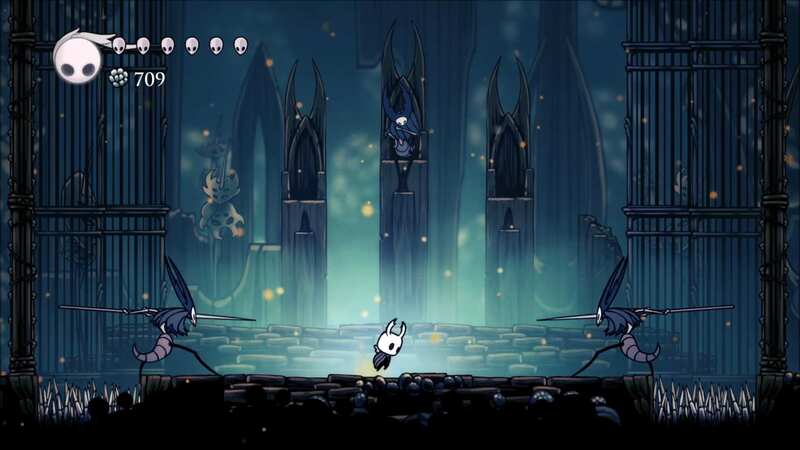 The two Mantis lords have the same three attacks as the first one, but these two can use their move at the same time to create very deadly combo attacks. One of the combo attacks they will preform is a dash attack from both sides. This attack is easy to counter, but it must be done at the correct time. The Double wall attack has two forms, One were the two projectiles will go towards the middle, stay there for a bit then come back the way they came, and another one were the projecticles will intercept at a high point and then curve back at the sides to strike you at the middle. To avoid the first wall attack stay towards either side of the platform and when one projectile aproaches; jump over it and towards the middle. To avoid the second wall attack stay in the middle of the platform and wait until the projectiles loop back towards the middle and simply jump over them at the correct time. Odds are you will probably defeat one of the two mantis' not at the same time as the other. So when you defeat one mantis just continue to fight the last mantis like you fought the original mantis that you faced in phase one. Once all mantis' are defeated the will bow go back to there thrones and the fight will be over.